Verdict 2015, Blackberry Messenger Channel C002F65F3, has been accredited by INEC to broadcast election results directly from the Situation Room, along with TV/Radio Stations. This favours you If you would like to receive Elections Results instantly as released, for Presidential, Guber, Senate and Reps on your phone, Free! Results will appear as BBM Updates. So you won't need to look for them. They'll come to you instantly when released. The prevailing Power Challenges don't suggest that Radio/TV will be effective,compared to your phone, which is ALWAYS with you. Just join the VERDICT 2015 channel, PIN-> C002F65F3, by Searching for it on BBM Channels. You can also search "INEC" as a keyword to find it. The easiest Way to join,is by scanning the bar code in the attached image. Exercise patience and retry if it fails when You search. Our phone networks are still improving. Remember. To agree terms, Select an age above 13, and Click "Join+" or anywhere you see "+". 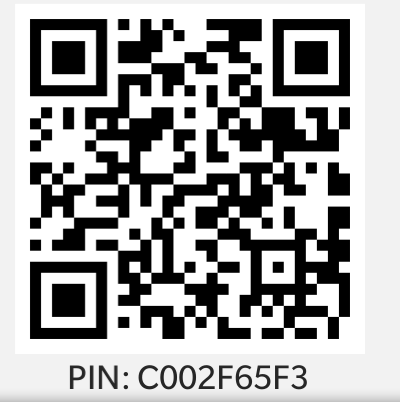 You may need to Upgrade your BBM if it doesn't have BBM-Channels. You Can also visit facebook.com/Verdict2015 and like our Page to get updates on Facebook, follow us on twitter @Verdict2015 or search for Verdict2015 on Google+ if You don't have BBM. Encourage this initiative by telling everyone. You know most of your friends will love this! Its success will be measured by numbers. It is history,as this has not been done anywhere before.Let's make it happen! God bless You! God Bless Nigeria! Verdict Nigeria ® is an initiative of Audaciti Communications Nig.ltd.